We have had a lovely few days in Otranto but it was time to move on. 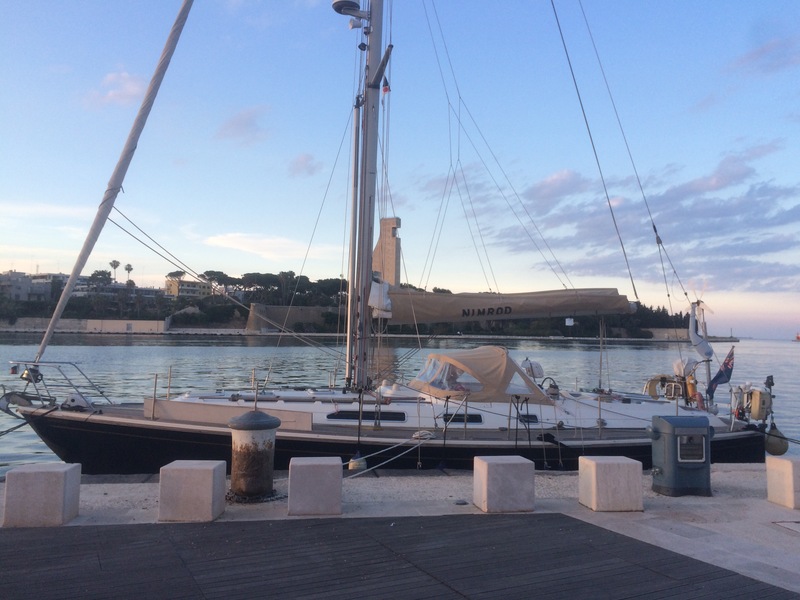 Today, we left around 0930 towards Brindisi. What little wind there was was coming from the north so impossible to sail. At 5-7 knots the wind was never enough to sail with anyway. 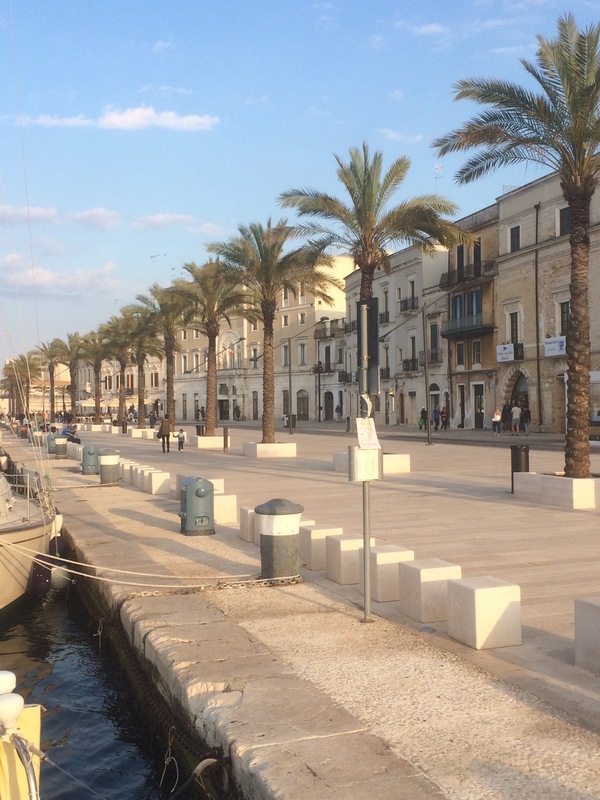 We gently motored north to Brindisi where we need to leave the boat next week. We’ve decided that given that there isn’t much around here up the coast, we will stay here and explore inland by public transport. 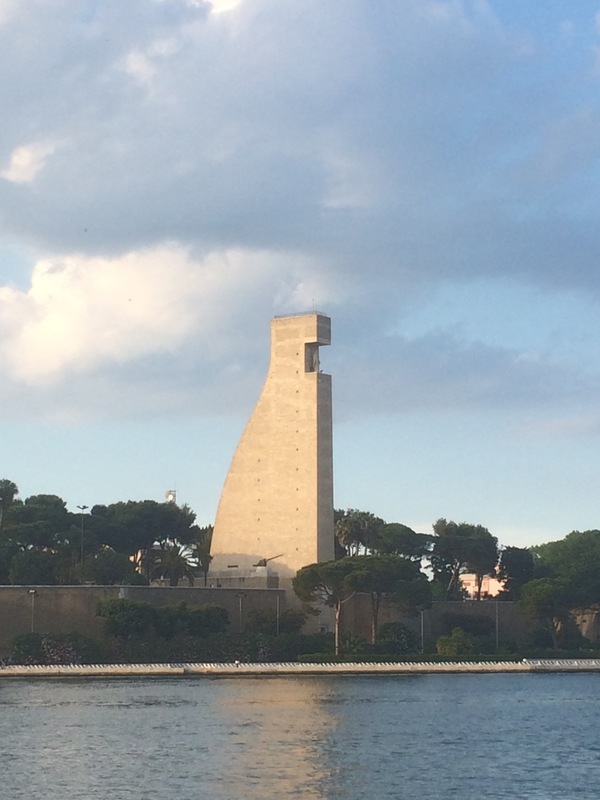 We are currently on the free town quay by the Appian Way steps and opposite a rudder shaped maritime memorial. We will probably stay here for a couple of nights before moving into one of the marinas as there isn’t electricity or water and you do get a lot of wash from passing boats (no apparent speed limit!). However, it is also very sheltered as there is a huge outer harbour.